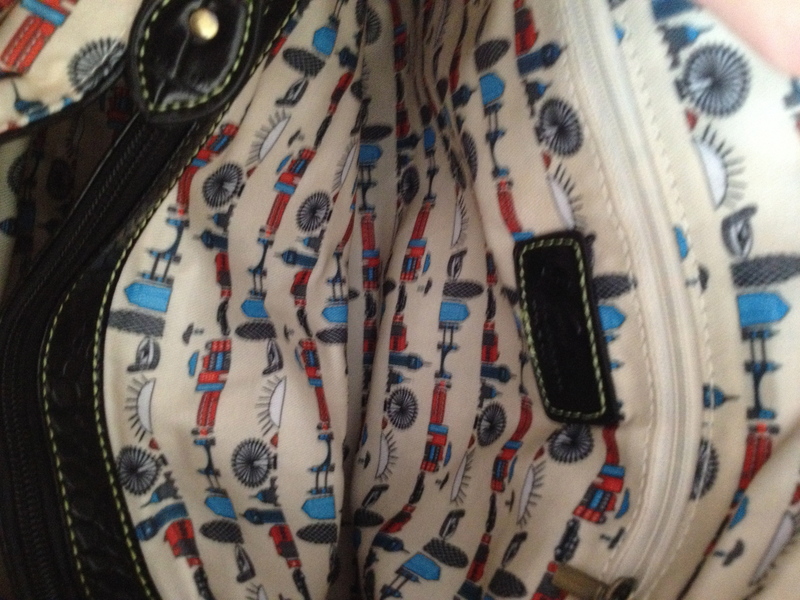 I am quite picky and difficult when it comes to choosing handbags and wallets. After all, it is something you carry daily, use a lot and needs to be comfortable to use. When it comes to this I say: bigger is better! 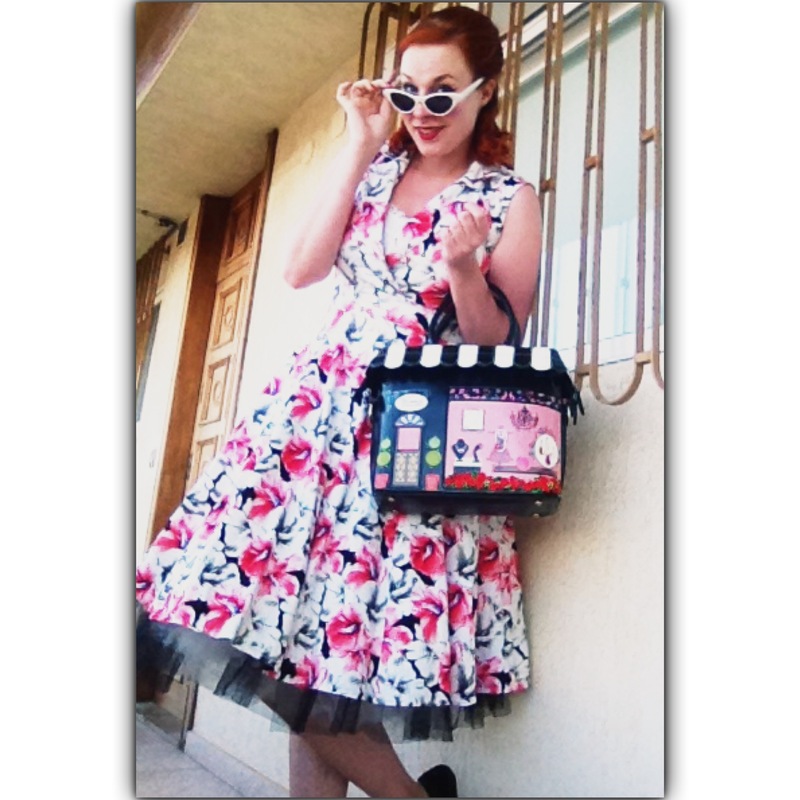 I like big handbags that fit big wallets and lots of stuff! Basically I carry my life in my handbag! Next to that I like them to look different yet stylish. So when I came across Vendula London‘s bags and accessories you can imagine I fell in love! Vendula London is a UK based brand that produces bags and accessories that are made from high quality faux-leather (you can’t even tell the difference by touch! ), thus animal friendly, with beautiful unique designs. Their products are so well designed, so well thought of. They all have beautiful details and have room for everything you need. As I said, I love big handbags. 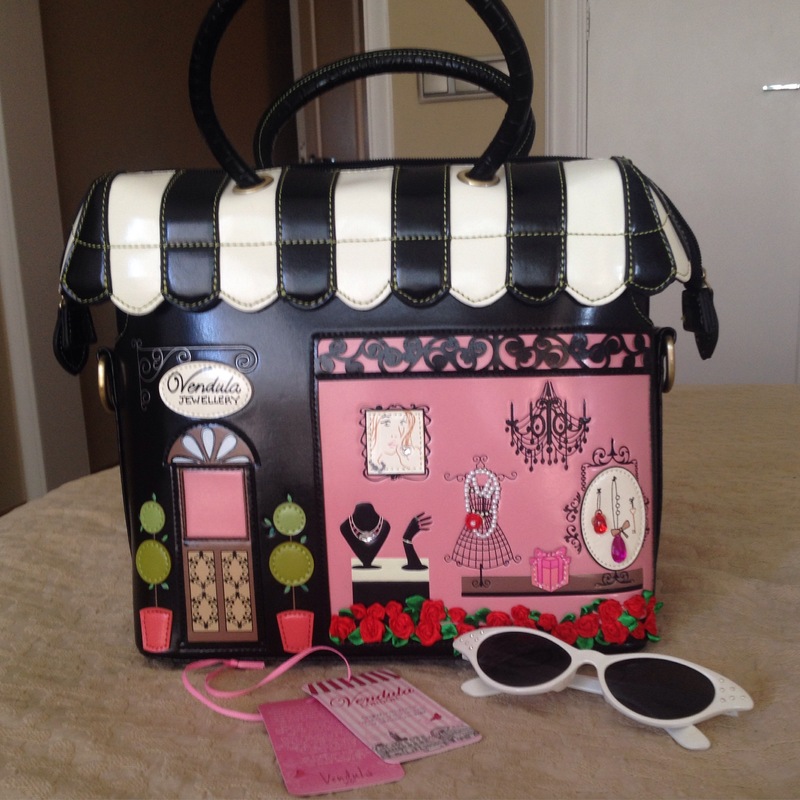 With this beauty, the Jewelry Shop Grabbag in Black and White I am covered!! The bag is really spacious (25cm(H) x 31cm(W) x 11cm(D)) and fits all your stuff (my life) easily. It has in total 6 interior pockets, including 2 smartphone pockets and two zipped pockets, and an exterior pocket. It comes with a detachable handle to wear your bag over your shoulder. 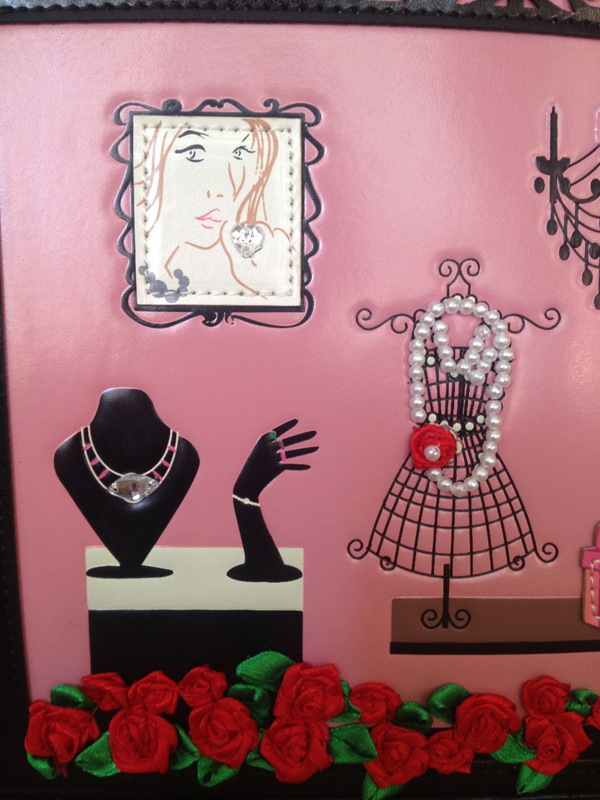 Peek into the window of an exclusive West London jewelry boutique. Tiny pearls, diamonds and sparkling rubies are picked out in applique in a window framed by ribbon flowers, while the candy-stripe canopy opens to reveal a spacious flat-bottomed handbag, lined in our signature London frieze fabric, featuring the London Eye, Big Ben, Tower Bridge and other landmarks. Turn the bag around to see a hidden sign with a distinctly British message. Truth!! 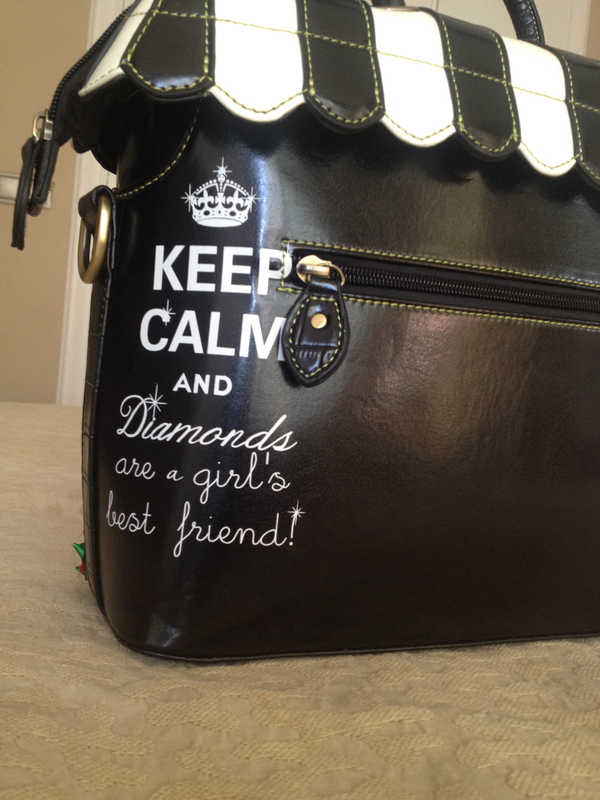 Diamonds are a girls best friend! 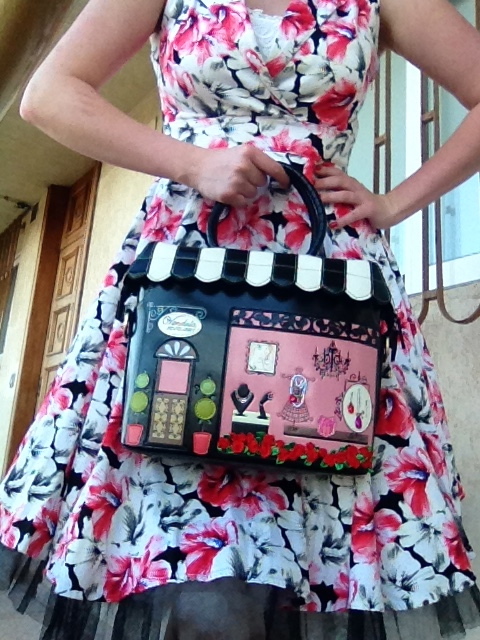 Oh and dresses, and cats and… Anyway, this bag comes in many different styles, Florist, Tea room, Beauty salon, Cupcake shop, Shoe shop, Lingerie Shop, Café and Boutique, all representing a store just like my jewelry shop bag. They come in different sizes and colors as well. If you love this style as much as I do, be sure to check their website out. 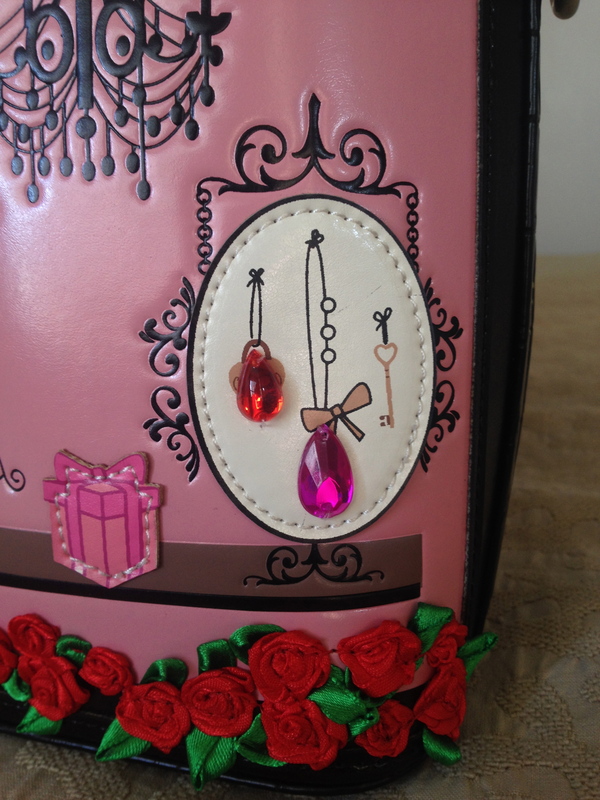 The Jewelry bag retails for 90EUR and they ship worldwide! Love the bag!! Is it this season?